Churches Estate Agents are proud to present this perfect 1-bedroom apartment in Longboat Quay, situated in the heart of Dublin's Docklands. This is an ideal city bolthole, first apartment or rental opportunity. Close to the thriving businesses and amenities of Grand Canal Docks and Dublin City Centre. Apartment No. 201 is a ground floor, one bedroom apartment extending to 44.8 sqm with spacious living room and adjoining kitchen. Fitted and finished to a high standard, with modern kitchen including integrated fridge freezer, oven, hob, extractor fan, washer/dryer. Floors are timber laminate throughout and efficient electric storage heating. 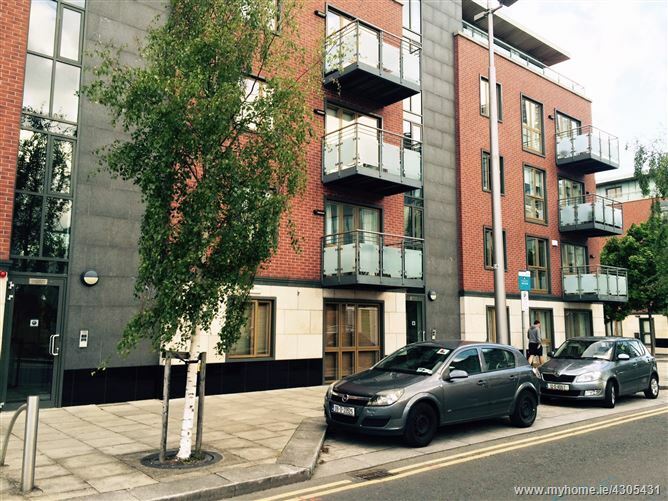 Longboat Quay is a modern, high-quality development in the epicentre of Dublin. This residence is within walking distance all of the city's business districts plus amenities such as Grafton Street/St. Stephens Green, Bord Gais Theatre and The 3 Arena all within 1km. Transport includes Grand Canal DART Station, Luas Green & Red lines and numerous Dublin Bus routes nearby. Service Charge €1200 per annum.